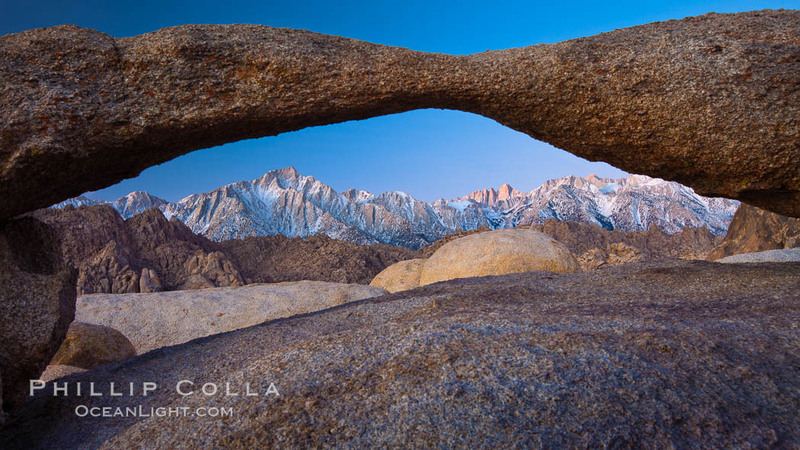 Lathe Arch in the Alabama Hills is one of my favorite natural arches. Lathe Arch is quite accessible but relatively hidden in the sense that it is easy to walk right by it without even noticing it. I first photographed Lathe Arch, along with its more famous cousin Mobius Arch, about 12 years ago. I’ve returned to Mobius Arch and Lathe Arch a number of times since and have always enjoyed them in solitude … until this year. They have become popular spots (there is even a developed trail leading to them now!) 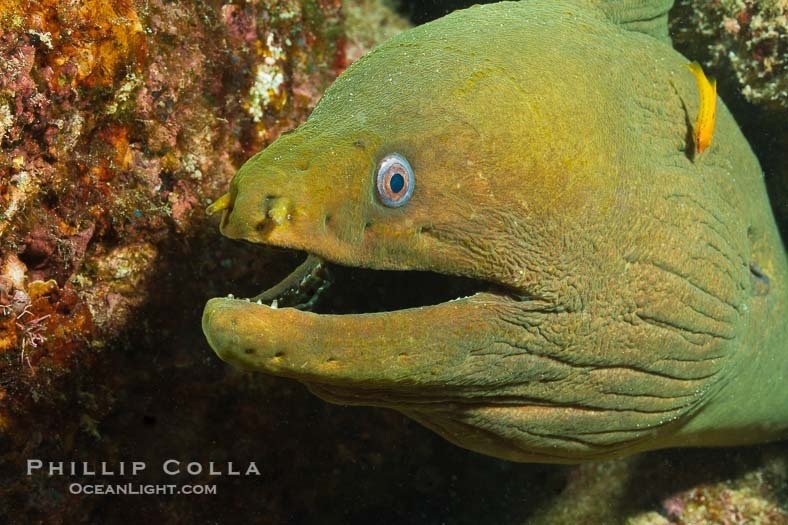 which is not surprising since they make for great photographs. I believe many of the photo tour/workshops that have popped up in recent years visit these arches but my sense is that working Lathe Arch and Mobius Arch on your own is the way to go since the space around these arches is quite limited. Plus, these are very nice spots to simply be alone to take in a cold Eastern Sierra dawn. 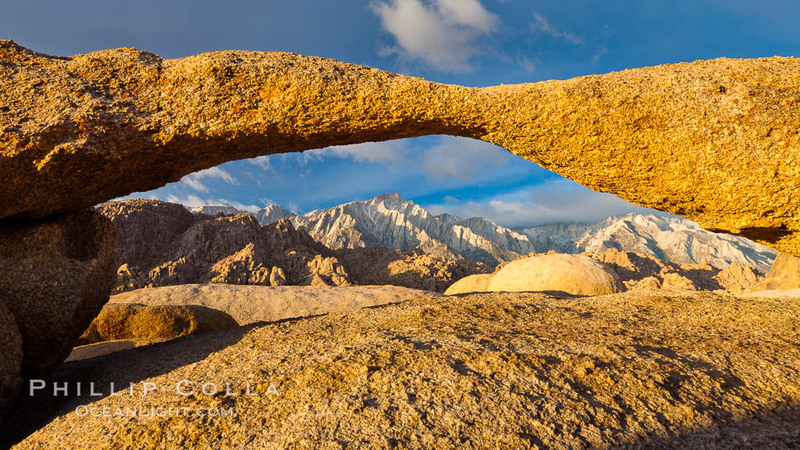 Alone is best by far, two people is doable, three gets a little much, any more and you will save yourself considerable aggravation by instead heading up Whitney Portal Road to photograph the mountain or some of the other arches and features of the beautiful and stark Alabama Hills. Made on separate days, Lone Pine Peak is seen in both images but Mount Whitney is only seen in the first image (being obscured by clouds in the second). Thanks for looking! Lathe Arch and Lone Pine Peak, sunrise.